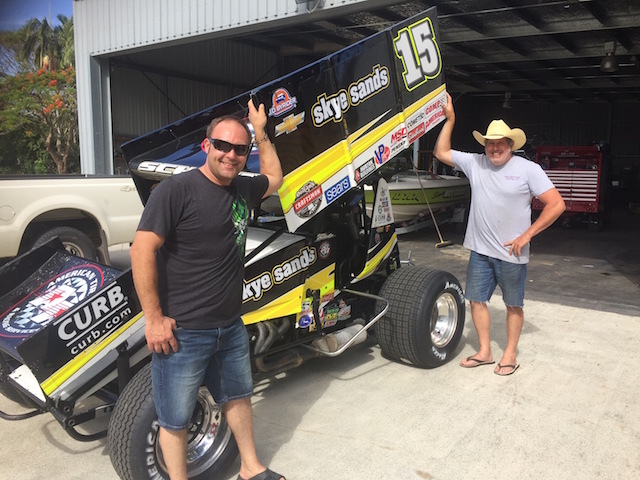 Sprintcar great Donny Schatz will launch his Australian campaign which starts at Archerfield tonight from the Gold Coast workshop of Paul Morris. A long-time friend of Morris, Schatz has escaped another harsh North Dakota winter so he can weave his Sprintcar magic in what has become an annual Queensland Christmas sojourn. His car, which was brought out of ‘retirement’ to help Schatz win the final round of the World of Outlaws Series at Charlotte in October, is sponsored by Rusty French’s Sky Sands business. The machine will eventually form part of French’s impressive collection. Schatz will run again at Archerfield on Friday night (December 30), Sunday January 1 and Wednesday January 4 before headlining the Australian Sprintcar Open on Friday and Saturday, January 6 and 7. “I have been parked down here at Christmas for the past five or six years and the people we spend time with are just like family for us,” Schatz told Speedcafe.com. After his final Archerfield event, Schatz will then be heading directly back to the US to compete in his first ever Chili Bowl Midget Nationals held indoors in Tulsa Oklahoma from January 9. Schatz stormed onto the World of Outlaws Series when he won rookie of the year in 1997 and has gone on to win eight drivers championships from 2006-2009, 2012 and 2014-16. This run has included nine Knoxville National titles (2006-2009, 2011-2015), second only to Steve Kinser who claimed an amazing 12 Knoxville crowns. Schatz moved to Tony Stewart Racing in 2008 and currently sits on 229 World of Outlaw victories, third only to Kinser and Sammy Swindell. While it does not come with the pressure of the nightly action of the American World of Outlaws Series, Schatz says his Australian campaign lays a serious foundation to his US season. “This is where my season starts and we take it seriously,” said Schatz. “From here it is pretty much full on into the World of Outlaws season in the US. The 2014 Supercheap Auto Bathurst 1000 winner Morris is one of the most versatile racers Australia and also enjoys his time behind the wheel of a sprintcar. “Donny is just a real racer and we love having him here each year,” said Morris. “There is just so much be be learned from the way he goes about his racing. 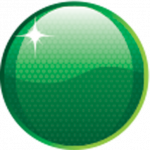 “He is into every aspect of the car and just knows how things work and how to fix them when they are don’t. Schatz will be joined for the Archerfield events by fellow American Logan Schuchart. The grandson of 1990 Knoxville Nationals winner Bobby Allen, Schuchart is making his first trip to Australia. Heading the local contingent will be two-time Australian champion Dave Murcott and the in-form Luke Oldfield who has won the last two Archerfield Sprintcar features, including the World Series event. Andrew Scheuerle, Bryan Mann, Peter Lack and Brent Kratzmann will be among the other local notables in the 30-car field looking to upset the visitors.